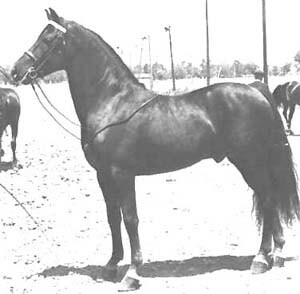 Breezy was a linebred Flyhawk stallion, and sprung from the famous cross of Flyhawk and Senator Graham blood. 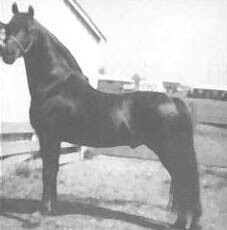 A fine-boned, slow maturing colt, his potential wasn't recognized until his maturity. 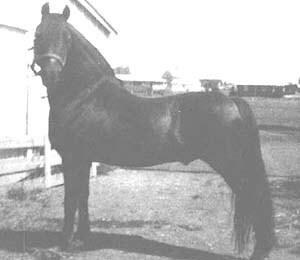 By age 7 he had become all that one could hope for and he began his reign over the mid-western Morgan show ring, a reign that would last 8 years. In hand, park harness, park saddle - he was triumphant in each. The true measure of a stallion's greatness is in his progeny and in this arena Breezy fulfilled his promise. He sired many great horses for Irish Lane Farm, including the show winning Irish Breeze, Breezilee and Irish Velvet. After a succesful show career, Velvet went on to produce Windy Hill Maestro by Windcrest Music Man. Other Breezy get include Breezy's Lovely Lady, dam of Big Oak Mylady Cobra, SR Cindy Sue, dam of Multi-World Champion Thunderbay, Gallant Colleen, dam of HVK Warlock and HVK Hotspur, Doves Breeze On, dam of Sorento, and the great stallion Beamington.